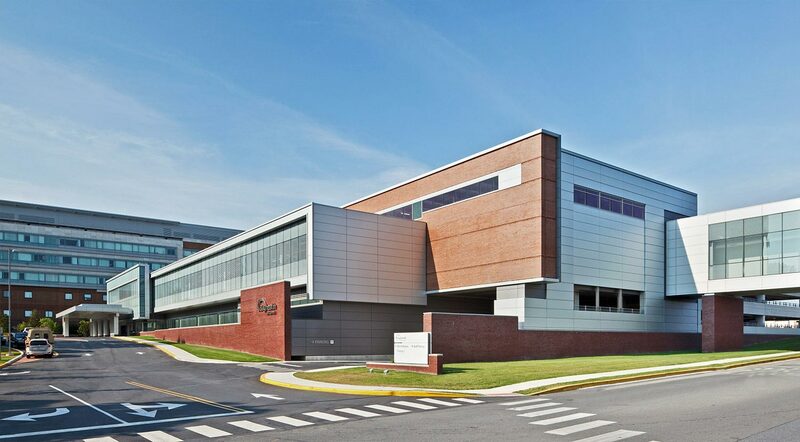 As one of the fastest-growing healthcare providers in the region, Bayhealth pursued a facility update deserving of its weight in the community and to strengthen its services. 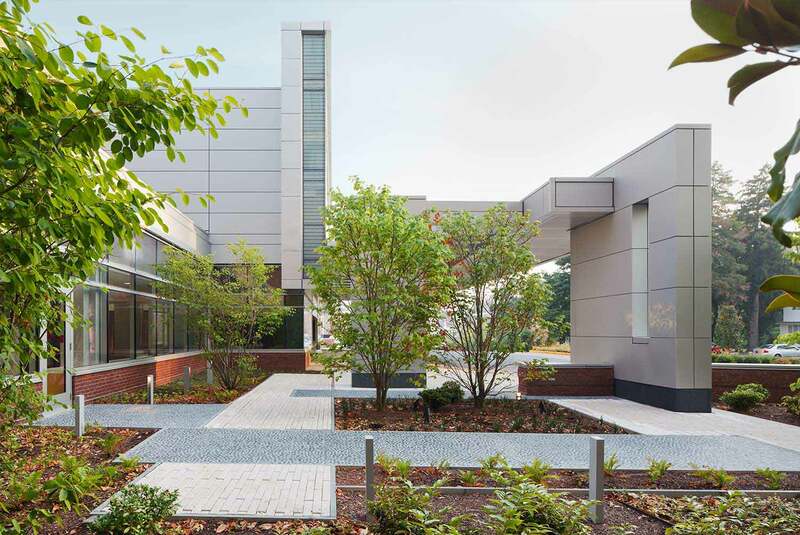 A long overdue campus master plan identified the need for Bayhealth to combine disconnected services and outdated legacy buildings into a new, growth-oriented pavilion designed for 21st century medicine. 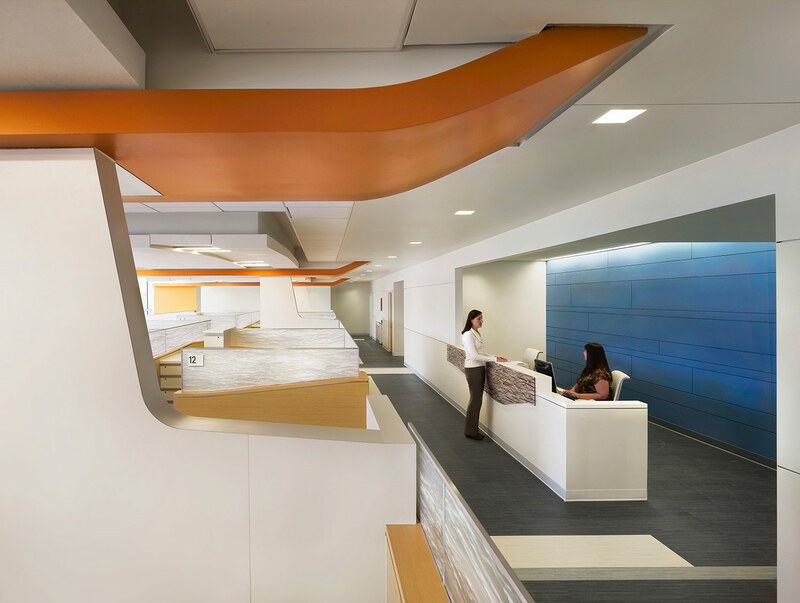 Bayhealth envisioned using a Planetree hospital model, where design emphasizes patient and staff experience and incorporates forefront technology, while maintaining connection to the local colonial architecture. 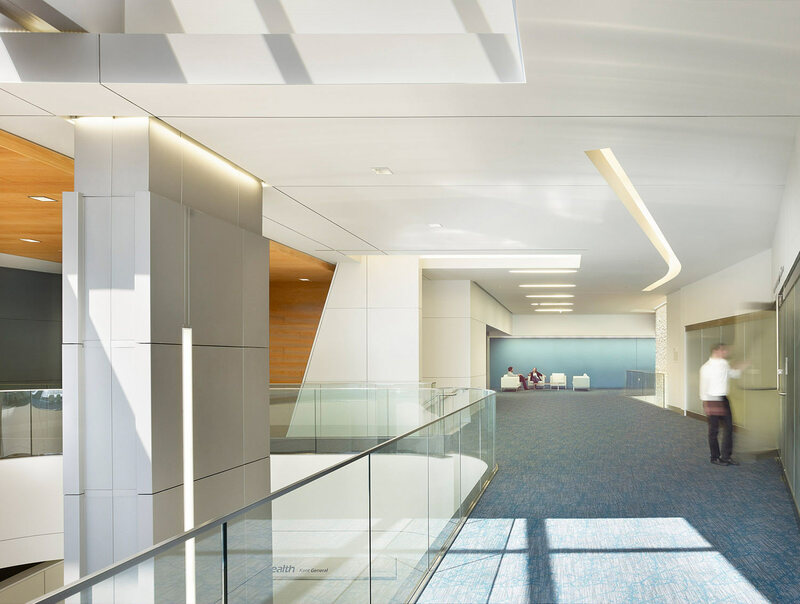 Alongside the client, EwingCole created a new patient experience sequence that begins with the building exterior of brick, glass, and metal panel, to a new valet drop-off, contemporary lobby, and a dedicated path to medical treatment areas throughout the 391,000 SF facility. 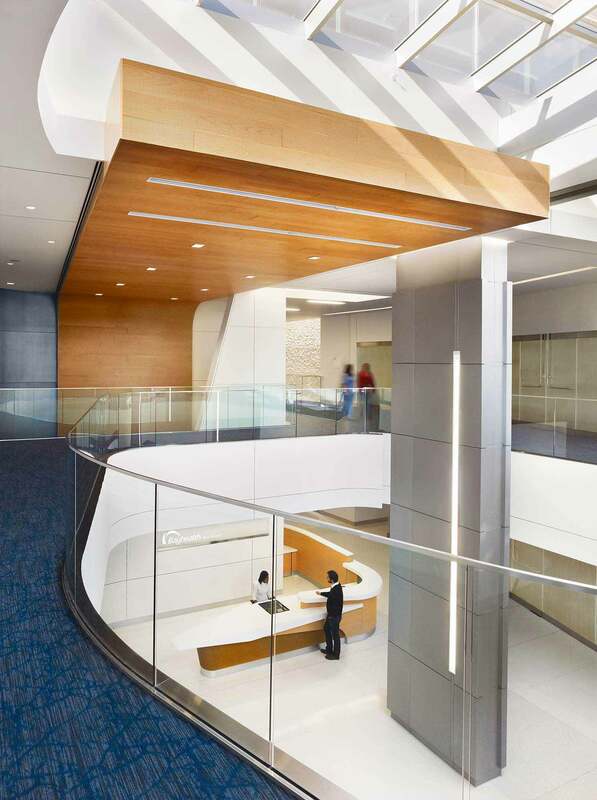 The design combines an open and sunlit atmosphere with careful spatial orientation for patients and visitors alike, maintaining a separate path to services for caregivers, and amenities such as focus zones and ample collaboration space to attract medical talent. 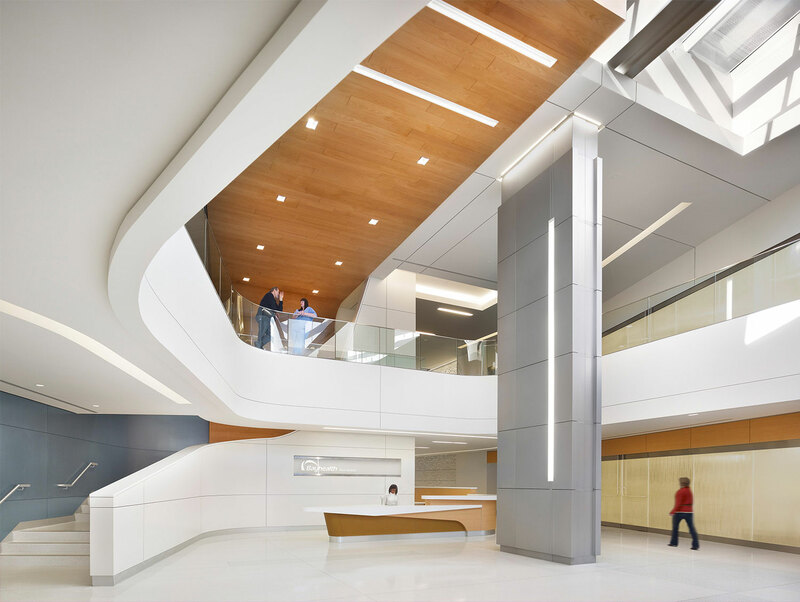 A cancer center and emergency department serve as a podium for a new bed tower, establishing a new entrance for the entire campus and bridging the once fraught services into one space. "A massive complex broken down and layered successfully into manageable, navigable forms. The most successful strategy is the flowing anthropomorphic movement of public spaces, almost guiding the visitor to their destination. 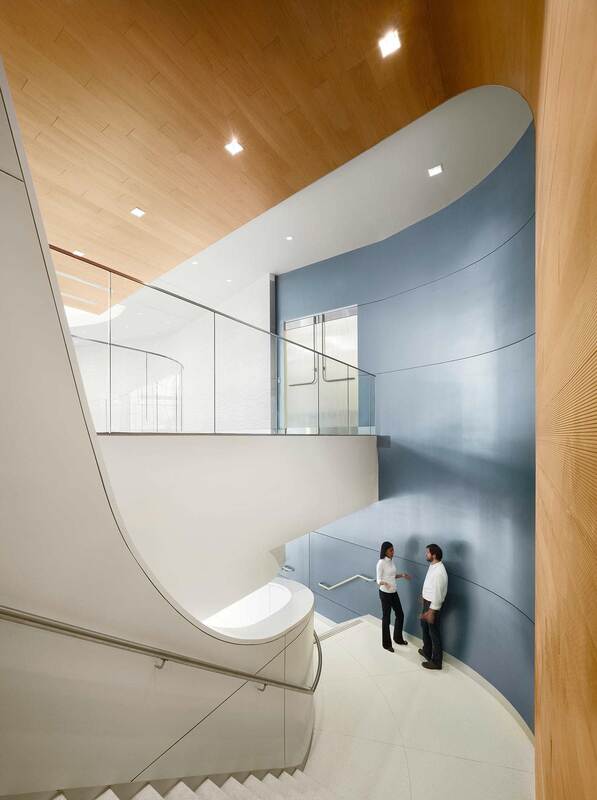 Interiors are well done —organic curves, well lit, beautiful. 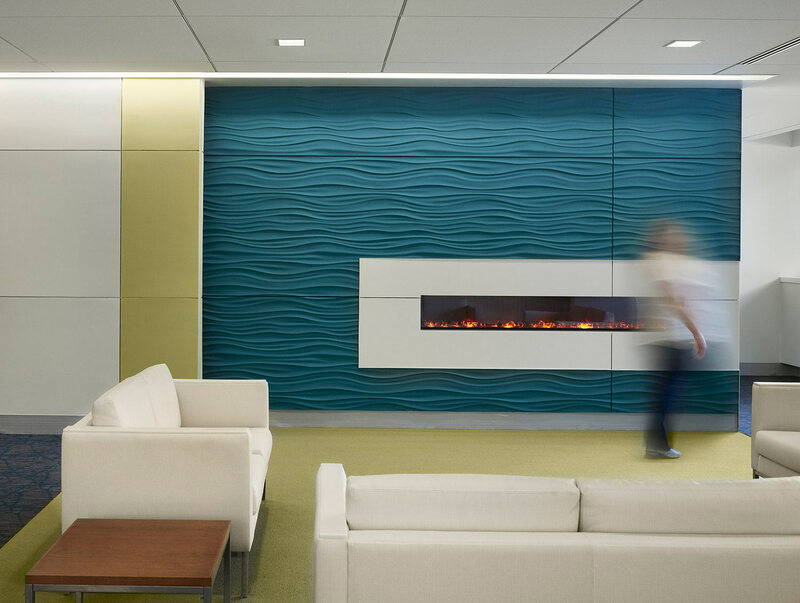 It’s exciting to see this quality of design in a healthcare project."